Almost 50 local social entrpreneurs were at The Braid, Ballymena on Friday 24th November to hear from Brian Tannerhill MBE, one of the most successful social entrepreneurs in the UK. The event, which explored the concept and potential of ‘community-owned business’, was created by the School for Social Enterprises in Ireland (SSEI) and hosted by Mid & East Antrim Borough Council. Mr Tannerhill, who founded McSence, an award-winning community-owned business which created employment and regeneration in Mayfield near Edinburgh, shared how he and his team were able to grow the McSence group to 6 working social enterprises with a total turnover of £1million and profits in excess of £200,000. 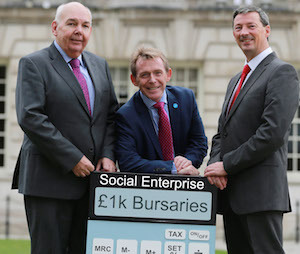 By the time of his retirement the group had been named UK Social Enterprise of the Year, held assets of £10 million, employed some 300 people and returned countless millions to the community in the form of wages. Within his address, Brian outlined a step-by-step guide to starting a modern growing social enterprise. His suggested process included Dreaming, Engaging Trusted Associates to form a Steering Group, create a Community Plan and the pursuit of added-value diversification. Also speaking at the event was Ballymena’s own Billy Millar, Treasurer of Slemish n tha Braid Credit Union, who has played a pivotal role in its continued growth and success. 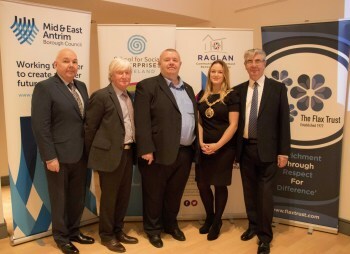 The achievements of the Credit Union were formally recognised recently when it won ‘Social Enterprise of the Year’ at the Ballymena Chamber of Commerce Awards. Within his presentation, Billy shared the story of how the ongoing renovation of the Raglan Building is aiming to mirror the McSence model and have a similarly positive and regenerative impact on the local community. The masterclass hosted as part of the event by Professor Ken O’Neill from the SSEI and supported by The Flax Trust, the Raglan Community Development Renovation Society and the Ulster University, received outstanding feedback. 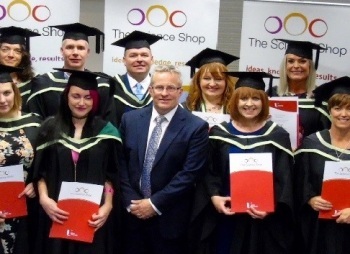 Support created by the SSSEI attracted a full house at The Braid Studio in Ballymena. 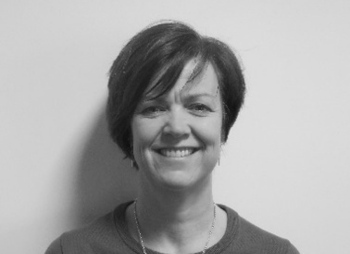 Are you interested in social innovation? 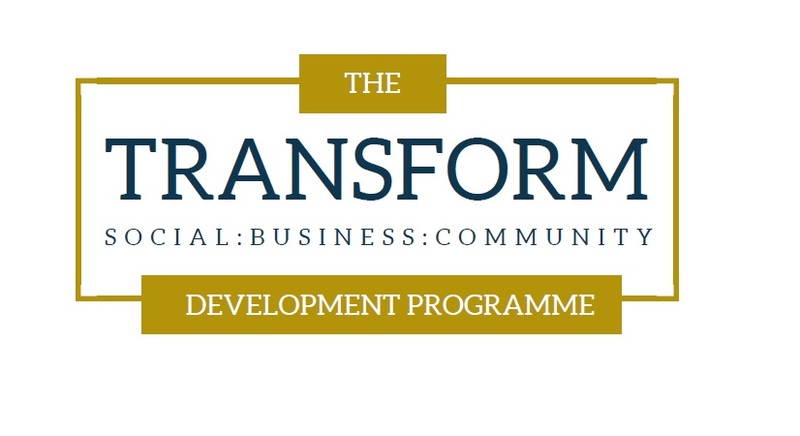 Could a social enterprise development programme be for you? 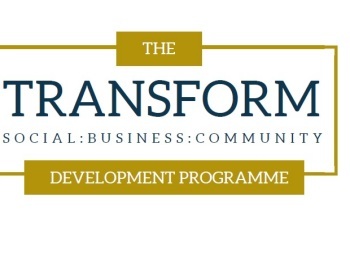 The Flax Trust has announced that it will offer a number of £1000 bursaries for its 2018 social enterprise business planning programme leading to the award of the Advanced Diploma in Social Enterprise – Ireland’s leading qualification in social enterprise development. For more information and to download an application form click here. Closing date for applications is Wednesday 29th November 2017. Christine is pictured beside Sr Mary Turley from the Flax Trust above.